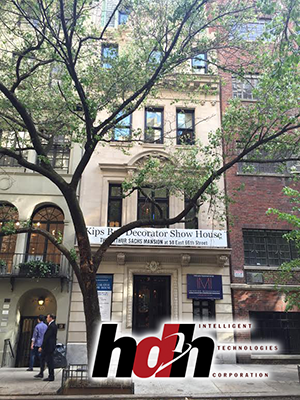 13-May-2015 – New York NY – In its forty-third year, the internationally-recognized Kips Bay Decorator Show House, hosted by New York’s most prominent youth organization, the Kips Bay Boys & Girls Club, will be situated at THE ARTHUR SACHS MANSION at 58 East 66th Street in New York City’s iconic Lenox Hill neighborhood, according to Hy Haddad, president and founder of HDH Intelligent Technologies (http://www.hdhtech.com), a provider and custom installer of home electronic and integration systems located at 305 Seventh Avenue New York, NY. Haddad says that his company had a hand in the restoration of the mansion in advance of the most highly anticipated design event of the year and the Kips Bay Boys & Girls Club’s premier fundraiser, the Show House will also celebrate the non-profit’s 100 years of service to children, marking a major milestone for the acclaimed organization. Originally built for Arthur Sachs, of investment firm Goldman Sachs in 1909 by architects of the Gilded Age, Buchman & Fox, the mansion is situated amongst some of the most renowned architectural designs on Manhattan’s Upper East Side. Constructed in the Beaux-Arts style, the five-floor, 9,600 square-foot townhouse sits across from the long-time residence of Andy Warhol, now a New York City landmark. In addition to the installation of advanced automated systems, Haddad says that the mansion, situated between Madison and Park Avenues and just steps away from Central Park, is an impressive 20-foot-wide townhouse, which boasts a fully restored limestone façade, five original fireplaces, a roof top outdoor kitchen and living room, planted garden, and a 27-foot lap pool. HDH Intelligent Technologies, located in Manhattan, NY, is a provider and custom installer of home electronic and integration technologies. 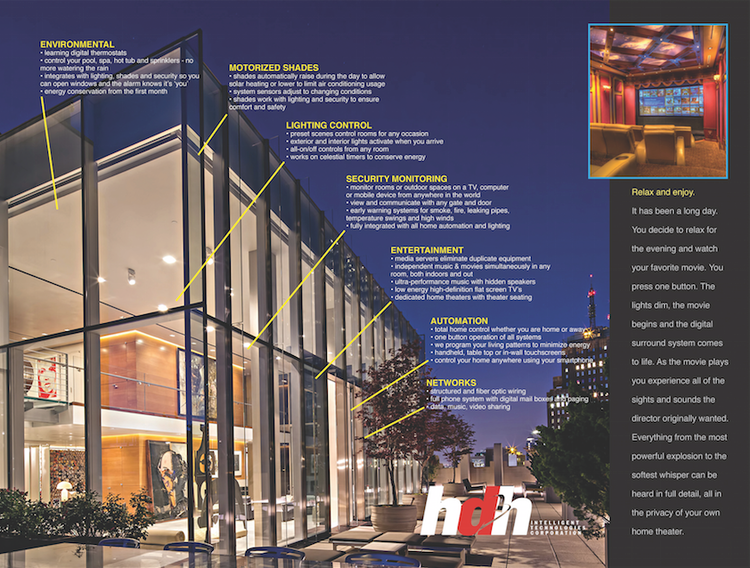 HDH serves both commercial and residential customers by providing lighting control systems, security & CCTV, audio/video, telephone systems, home theaters, and HVAC control & automation. Serving the entire tri-state area, no job is too big or too small for the HDH staff, from hanging a HD display on a wall, to installing a full automation and control system. For more information, visit the HDH website (http://www.hdhtech.com) or call, 1-888-449-4233. New York Security System Provider Says That Most Commercial Businesses Can Benefit From Modern Security Camera Monitoring Systems. 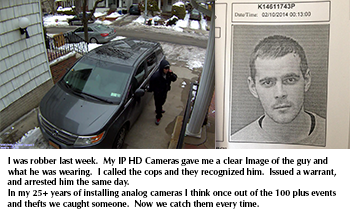 February 24, 2014 – Brooklyn, NY – Many small and mid-sized businesses already have a basic video surveillance system that records the daily activities at their business, says Hy Haddad, president and founder of HDH Intelligent Technologies (http://www.hdhtech.net). These systems are good, he says, because, in the event of a robbery or an accident, it may help catch the perpetrator or determined what happened, but many existing technologies are out-of-date and businesses should consider upgrading their security systems for increased peace of mind. When a business owner installs a modern security surveillance system they not only increase the overall security of their business, but the installation of a quality surveillance system has also been shown increase worker productivity, according to Haddad. According to Haddad, some of the features offered by modern day security systems include continuous real-time monitoring, as well as digital storage features, making video easily accessible to authorized users, anywhere and at any time. Moreover, Haddad says he practices what he preaches. Just recently his business was recently burglarized and thanks to the state-of-the-art security system he installed, one of the same systems he installs for his customers, the police were quickly able to apprehend the thief. New York Home Automation Provider Says Commercial Businesses Can Benefit From Its Products and Services As Well. NEW YORK, NY, UNITED STATES, January 29, 2014 /EINPresswire.com/ — When it comes to choosing the right products and systems that will make our lives easier and more comfortable, Hy Haddad, president and founder of HDH Intelligent Technologies (http://www.hdhtech.net), is the guy to talk to. His more than three decades of work in the home audio industry has made him an expert in the field. However, he says that the products and services that his company offers aren’t limited to residential applications. According to Haddad, the commercial products and services offered by HDH Tech range from modest projection systems for meeting rooms and background music systems for retail shops and restaurants, to complete system solutions that integrate sound, video, and more for commercial and conference centers, as well as for auditoriums and theaters. One of the most popular commercial services offered by HDH Tech, according to Haddad, is the installation of video surveillance systems. Whether a company is looking to expand its capabilities with video conferencing technologies, or offer a better experience to its customers through a professionally-installed audio system, Haddad says that HDH Tech is the company to contact. 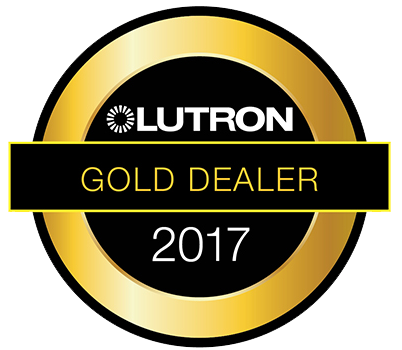 “Our expert audio, visual and automation experts are always on hand to help your business meet its unique needs,” says Haddad. NEW YORK, NY, UNITED STATES, January 22, 2014 / EINPresswire.com / — Hy Haddad, president and founder of HDH Intelligent Technologies (http://www.hdhtech.net), is no stranger to home automation. He and his staff of experts have installed countless automation systems, from blind controls, lighting controls, and, of course, home audio systems, making the lives of their customers a little more comfortable. With Equinox home automation control products, Haddad says that customers now have the option of having a minimalist wall-mounted presence providing quick and intuitive control of lighting, climate, and home audio systems. According to Haddad, Equinox control systems are designed to meet any home automation need. The Equinox 73, for example, featuring a minimalistic 7-inch LCD wall screen with a widget environment much like that of a smartphone or tablet, provides a personalized dashboard for multi-system control. “There are other Equinox models that pack just as many options as the Equinox 73, but come in a smaller package,” Haddad says. Haddad notes that although the Equinox 40 has smaller a 4-inch screen display, it is perfect for home automation use. 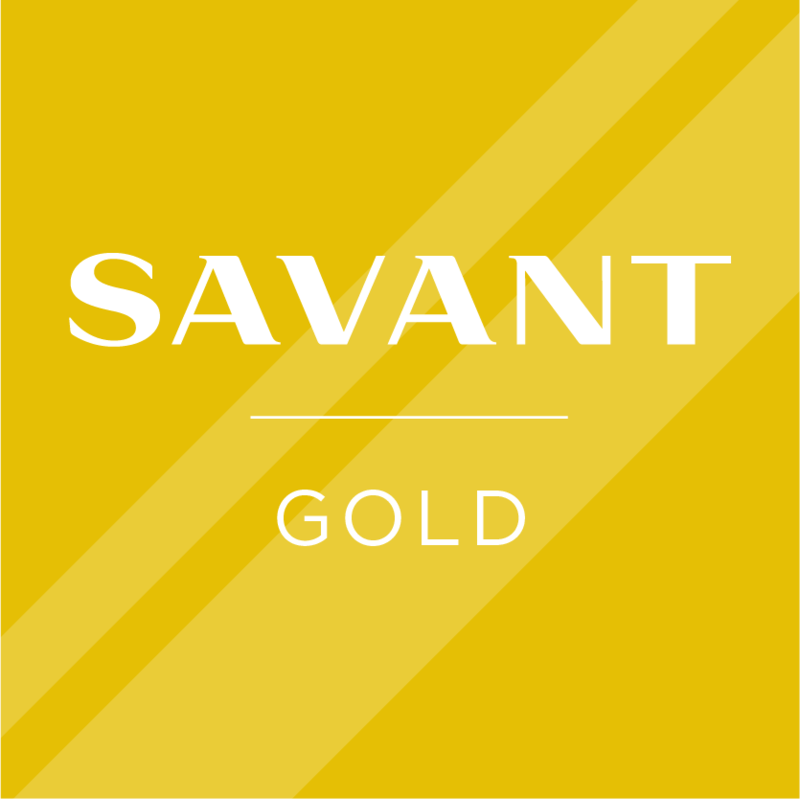 Its keypad features an aesthetically-pleasing glass panel that adjusts to ambient light, allowing the user to read and change settings quickly and simply, even in darkness. 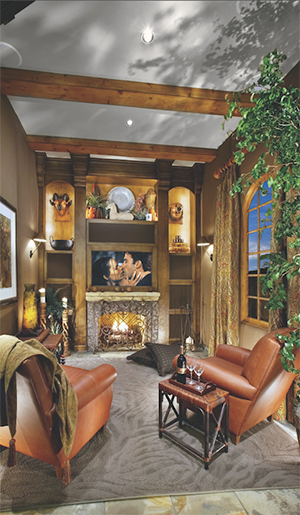 With all of the features of the Equinox 40 has to offer, Haddad says that the options for creating the perfect personalized home atmosphere are endless.